Alpine Valley Bread is now Alpine Valley Bakery! We have a new look and a new name, but the same high quality, organic, and delicious products you know and love. At Alpine Valley Bakery, our secret to quality is to keep it simple: we only use the best organic ingredients to make healthy and delicious products. We stand by our promise to never use artificial flavors, sweeteners, colors, or preservatives. Our products deliver not only nutrition, but the delicious taste and soft texture your whole family will love. In 1995, we opened a small bakery storefront in Mesa, Arizona. We quickly captured a growing local market and developed loyal customers by offering a wide variety of organic, whole grain bakery products. Popularity grew and one year later, our products were being sold in grocery stores! 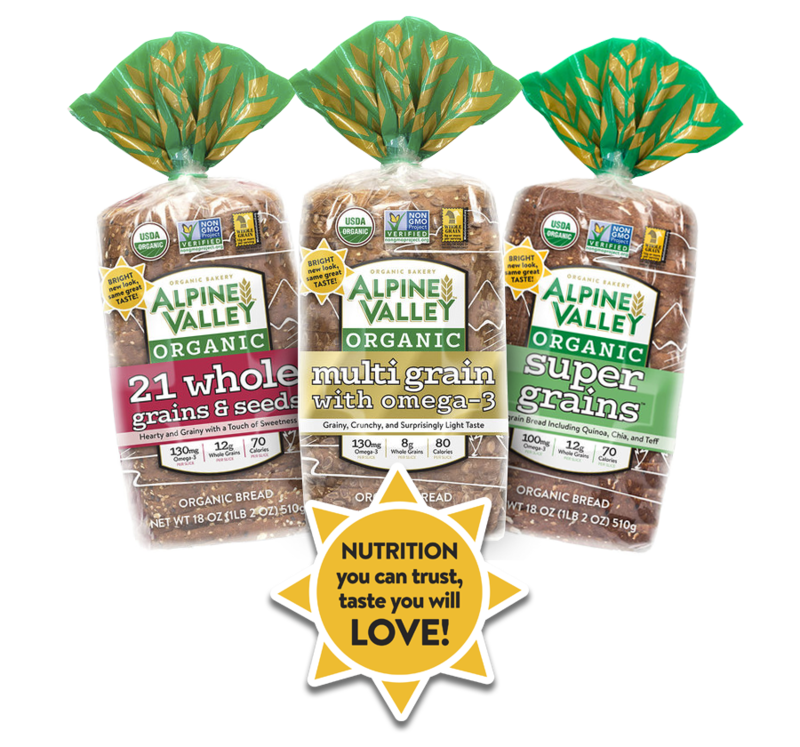 Since that time, Alpine Valley Bakery has become a nationally distributed brand, sold in Costco, Sam’s Club, Kroger, Sprouts, and many other stores throughout the country. Keep in touch! Sign up to receive news and updates.